I would appreciate any help you could throw my way about this. By the way I am a 53 year old male. My Answer: The Wingspan Workouts are 4 separate WORKOUTS. Hence you don't do them all in one day. You can choose one workout and stick with that for a few weeks, or you can alternate between 2 workouts, or you can rotate among 3-4 shock workouts. 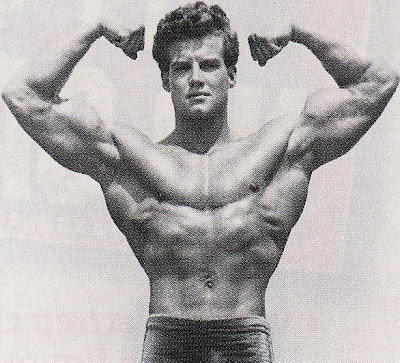 The shock techniques are tools in your bodybuilding arsenal to use as you see fit. "Hey it’s CW from Vegas again. Just received the new book and cannot wait to get back into the gym. The reason I’m writing is I’m hoping you can resolve a debate in regards to cardio. As you know in law enforcement, cardio is a must. However the question is: how and when to do it? Some say do 30 to 40 minutes of light cardio after weights and some say HIIT. Other say to do it on non-gym days or do cardio in the morning then lift at night. Getting to the gym 4 times a week is tough enough let alone twice a day. One guy I know is preaching the Max-OT cardio program from AST. So if you can tell me what the best cardio program is I will be most grateful." "I read your article on Training for the Ectomorph and decided to try it out as a new program, being an ectomorph and a hard gainer. I am about 185cm tall weighing 68kgs, my body fat is about 9.8%. I am trying to put on a more size. Ideally I would like to be 72-75kgs and drop a percent or two on the body fat. "I am not a beginner bodybuilder. I have been training for 4 years, but I have been battling to increase in size after having ripped down from about 14% body fat. I have been following the program for 6 weeks and have gained almost 2kgs which is great. I also incorporated 20 mins of HIIT and a combination of pikes, bridges and one other ab exercise on the off days. "I have a question. I am worried, being a more intermediate than a beginner, that I am neglecting or should be paying more attention to other exercises, aside from the core 6 exercises. I previously did do most of the exercises listed but also added more isolation exercises. So just a heads up: SPV2: Neo-Classical Bodybuilding is now available on Amazon.com. I've been asked what the difference is between Volume One and Volume Two. Whereas Volume One is a compilation of my training articles and various training routines, Volume Two goes into detail on my training system. This is a program that I've used in the past to gain and maintain incredible size and muscularity on a solid diet. So whereas Volume One is about training techniques and tactics, Volume Two is about a complete training strategy. A warm-up is a warm-up. Stretching is stretching, and not a warm-up. A good trainer usually knows not to have clients do static stretching before a workout. I've seen plenty of people get injured from pre-workout stretching. Bulgarian weightlifters go so far as to not even include warm-ups. They lift the near max weight immediately in their training. I usually recommend light calisthenics, mobility drills, or stationary biking as opposed to stretching. Particularly for bodybuilding, stretching is best done after the workout, when the muscles are tight, but thoroughly warmed up. Here's a primer on stretching from the New York Times.